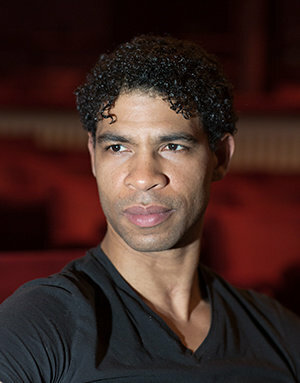 Carlos Acosta Talks Bringing His Fledgling Cuban Company to the U.S.
April 25 (Dance Magazine) What does a superstar like Carlos Acosta do after bidding farewell to his career in classical ballet? In Acosta’s case, he returns to his native country, Cuba, to funnel his fame, connections and prodigious energies back into the dance scene that formed him. Because of its top-notch, state-supported training programs and popular embrace of the art of dance, Cuba is brimming with talented dancers. What it has been short on, until recently, are opportunities outside of the mainstream companies, as well as access to a more international repertoire. That is changing now, and, with the creation of Acosta Danza, launched in 2016, Acosta is determined to open the doors even wider to new ideas and audiences. The ensemble of 20 will have its full-company American debut at New York City Center April 25–27, with a mixed repertory that includes works by the Belgium-based Sidi Larbi Cherkaoui, Cuban choreographer Marianela Boán and company member Raúl Reinoso. Why did you decide to found a company in Cuba? I wanted to show the world the artistic wealth of my country. This company synthesizes he miscegenation that defines me, not only as an artist but also as an individual. Cuba was the ideal place for my company because it is a mestizo country, very strong in the arts. In Cuba, dance is an essential manifestation of idiosyncrasy, and there is a national education system that every year graduates excellent dancers. During my career as a dancer I dreamed of a company in Cuba and finally it was time to make it happen. Are you fully independent of the state? In Cuba, a project of this nature cannot be done without the blessing from the minister of culture. We are also associated with the Sadler’s Wells Theatre in London. And we count on the help of private donors who have followed my career over the years. How would you describe the company? Fundamentally, we follow a contemporary line using elements of classical ballet. We include all dance styles, from the most lyrical to the most sporting, the abstract, the folkloric and the urban. What do you see as the ideal balance between Cuban and international choreographers? In Cuba there is a young generation of choreographers with many desires to make themselves known to the world. I want to give them the opportunity to develop. At the same time, I want to bring Acosta Danza to creators that I admire on the international scene, regardless of style or vision. What draws you to the work of Marianela Boán, whose male duet, El Cruce Sobre el Niágara (The Crossing Over the Niagara), will be included in your New York season? El Cruce Sobre el Niágara is a minimalist work that 30 years after its premiere is still hypnotizing the public. The way she summarizes the idea of a play [Alonso Alegrías’ 1969 play of the same name] in 20 minutes of dance is a feat of creative inspiration. Acosta Danza rescued her from oblivion and this piece has become one of the most applauded by the public and critics. What is the most difficult aspect of this new enterprise you’ve taken on? It is difficult to create a style from diversity and make everyone understand, fall in love with my dream and follow me. I think we are achieving it.